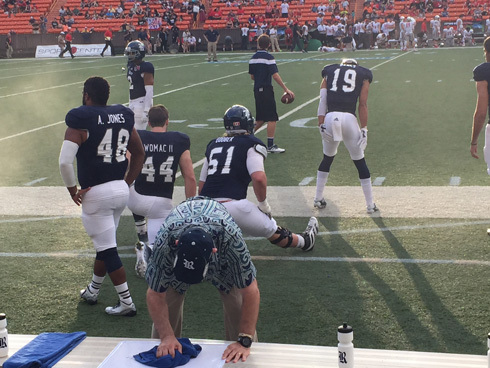 HONOLULU – Two touchdown passes in a span of 19 seconds were all that was needed to give Rice the spark it needed in the Hawaii Bowl. 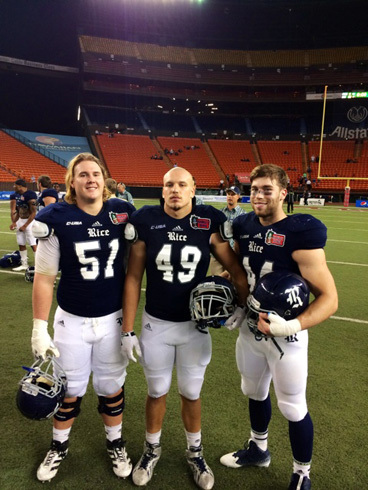 Rice set a Hawaii Bowl record by holding Fresno State without a touchdown Wednesday night in a 30-6 victory that completed a remarkable turnaround for the Owls. 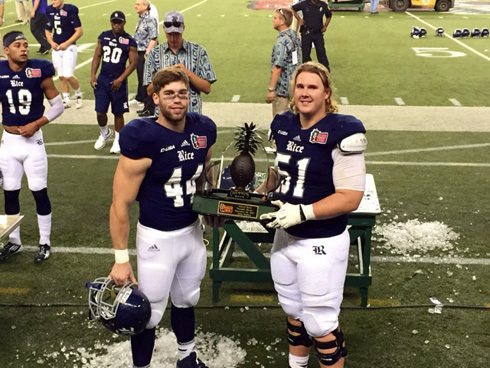 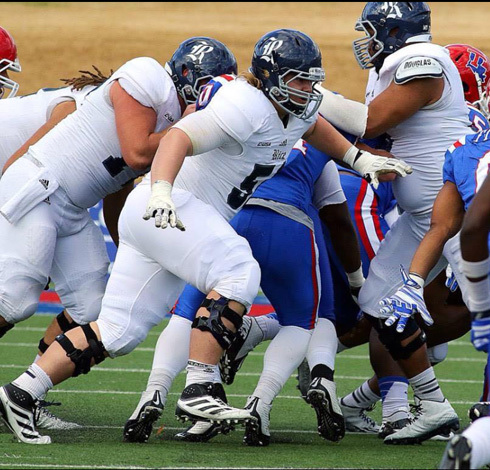 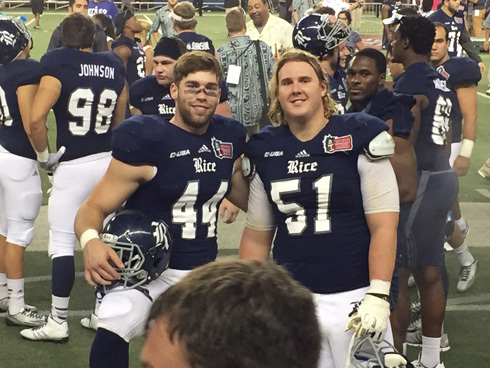 FYL’s Peter Godber, who committed to the Rice Owls in 2013, was there. 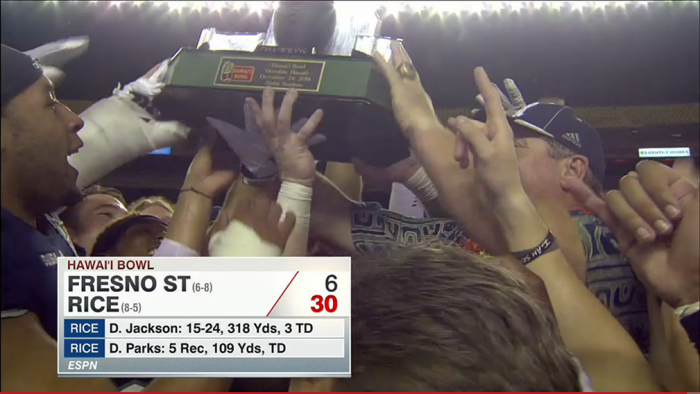 Read the full article @ scores.espn.go.com.